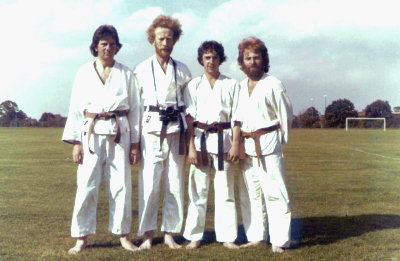 Way back in March of 1968, Hugh Hastings who is the club's chief instructor started to practice Shotokai Karate with a group of friends in Prestwick, which is a town approximately 40 miles south of Glasgow on the west coast of Scotland. 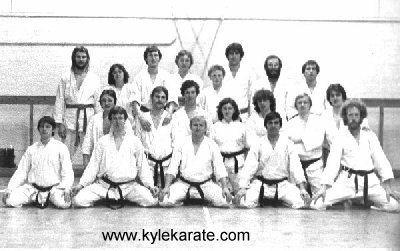 For the want of a better name for the club they called it "Kyle" after the district rather than the town, and it has remained Kyle Karate Club ever since. We practice and teach traditional karate based on Shotokai as developed by Mitsusuke Harada who was awarded his 5th Dan by the great master Gichin Funakoshi. 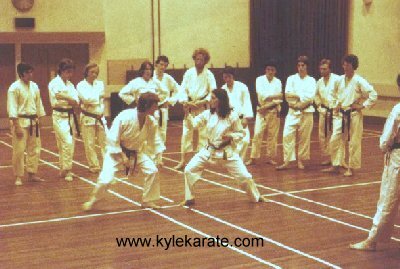 Over the years since that first session, we have practised in many venues throughout the area but have always insisted that Kyle would be a non-profit making organisation and that we would always practice Shotokai Karate. 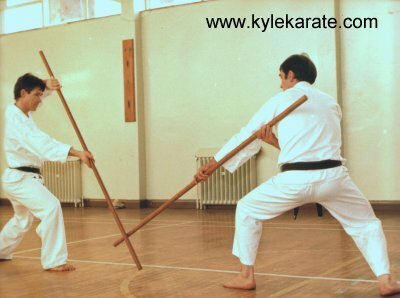 Until 1988 we practised with the Karate Do Shotokai organisation, and then were associated with the Shotokai Foundation. We are now an independent organisation.